The Friday/Saturday Sundry: 6/6/14 | One Strike Away...Twice! 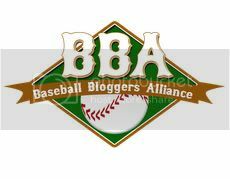 Draft, will need to undergo Tommy John surgery the day after he signs with the club. Still, the overall news of the week for the Rangers health is positive. Tanner Scheppers returned from the disabled list Thursday and got thrown right in the fire during the 8th inning of Texas’ 8-6 win over the Baltimore Orioles. Scheppers didn’t look particularly good, giving up a home run to Adam Jones, but he induced a double play to end the 8th with only the solo home run as damage. What was heartening to see was the bullpen line-up after Colby Lewis got pulled following five meh innings: Robbie Ross Jr., Scheppers and Joakim Soria. It was the first time this season the pen had a familiar ring to it. 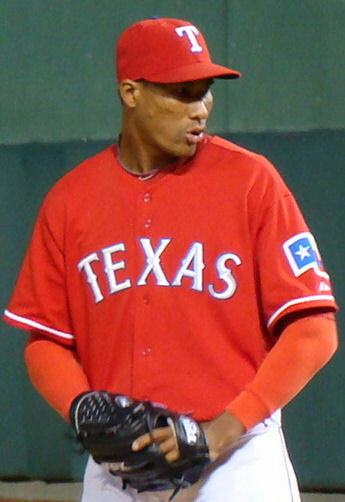 Ross Jr. pitched his best outing in weeks, throwing two shutout innings with no hits and picked up the win when Texas broke a 5-5 tie in the 7th. Another piece of good news on the health front. Fifth outfielder Jim Adduci is likely to return from his DL stint this weekend against the Cleveland Indians. Adduci was off to a great start in 2014, going six for his first 13 with two doubles and three RBI when he broke his finger on the bag while sliding (or diving). While only the “fifth” outfielder, Adduci is definitely a step up from Daniel Robertson, who failed to tag up at third on a fly to right in Thursday’s game and cost the Rangers a run. Word has it Neftali Feliz is close to returning to the bullpen as well so, believe it or not, the Rangers are actually getting healthier for a change. Tuesday marked the return of Nelson Cruz to Arlington. Cruz hit a home run in Tuesday’s win over Texas but the Rangers held him in check the rest of the series. This weekend another favorite from the World Series teams returns. 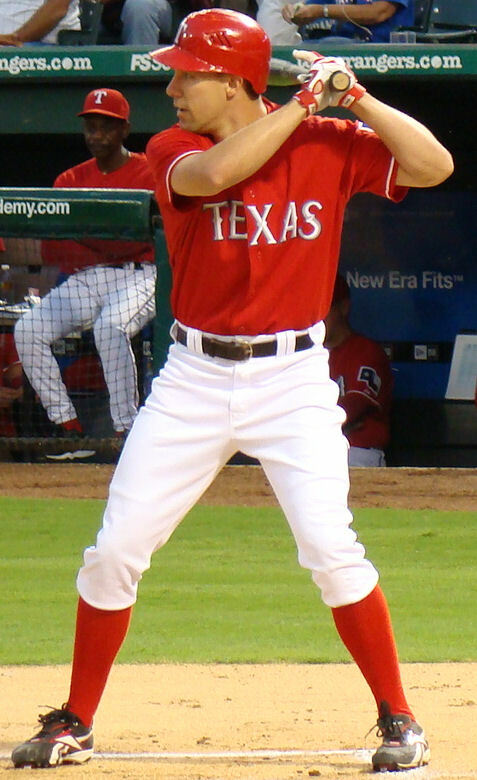 David Murphy was the fourth outfielder for most of his time in Texas but was the starter in left field in 2013. Now he’s back to being a 4th outfielder with the Indians and once again he’s thriving, hitting .280 with 5 home runs and 34 RBI. To put that in perspective, if Murph was still a Ranger, those numbers would lead the club in RBI and rank third in home runs. In the second inning of Thursday’s game against the Orioles, I tweeted that a Michael Choice hot streak would help the Rangers immensely. With Prince Fielder out for the season and Mitch Moreland stuck at two home runs, the Rangers have very little power outside of Adrian Beltre and Shin-Soo Choo. Choice is that potential power bat but he’s been hitting right around the Mendoza line all season long. As if he’d read my time line, Choice went deep for his fourth home run within minutes of that tweet and he added a double for good measure late in the game. Choice is not a great defensive player in the outfield so if he isn’t hitting he really isn’t doing much to help the club win. If Thursday’s game is any indication, Choice just might be getting the hang of this major league hitting thing. If so, the Rangers offense might start scoring runs more consistently. This should probably wait a few days because there is likely a lot of movement in the Rangers minor league system coming over the next week or two. Still, I feel the need to point out the incredible season being put up by a couple of Rangers’ prospects. Joey Gallo is tearing up the High-A ranks with the Myrtle Beach Pelicans. Gallo is currently hitting .330 with 21 home runs and 50 RBI. Myrtle Beach is not a hitter’s park. 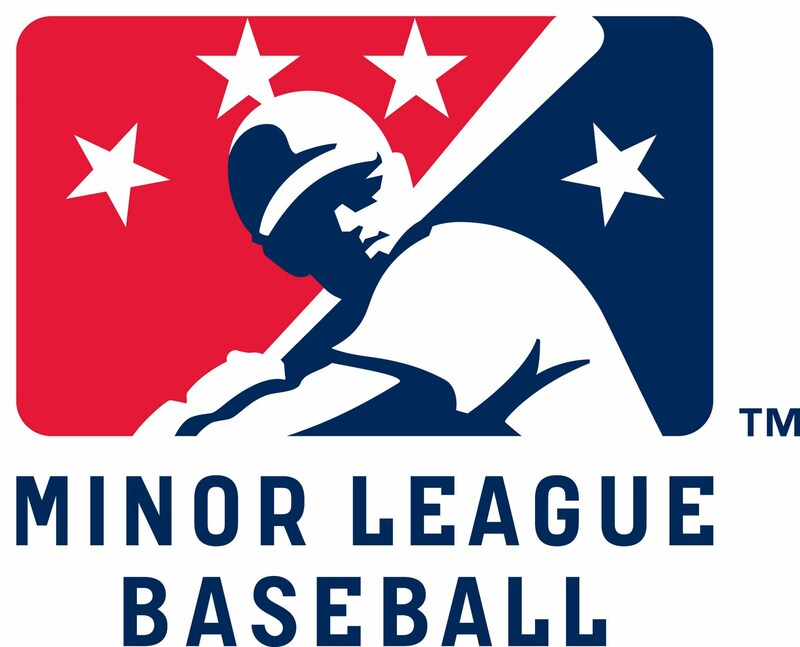 In fact, the entire Myrtle beach roster hit only 64 home runs in the course of the entire season. Gallo is on a pace that would net him 2/3 of the entire 2013 team if he stayed with the Pelicans the whole season. That isn’t going to happen. Gallo may not even play in the Carolina League All-Star game. In just a matter of weeks if not days, expect Gallo at the AA level with the Frisco RoughRiders. The same could be said of Alex “Chi Chi” Gonzalez. Last year’s top draft pick is 5-2 with a 2.62 ERA in helping lead the Pelicans to a league best 40-18 record. On the AA level, looking to get promoted soon is Luke Jackson. The righthander checks in at 7-2 with a 2.55 ERA and could find himself in AAA Round Rock soon. On the hitting side, if Gallo gets promoted as expected to play third base in Frisco, the current third baseman, Ryan Rua, already has a case for promotion to Round Rock as well. Rua is hitting a robust .313 with 10 home runs and 32 RBI. Round Rock would certainly welcome Rua and Jackson. The Express are easily the worst team in the Rangers minor league system record-wise, posting a 26-34 mark despite having a roster full of talent with major league experience. Maybe they’re mostly utility player/back of the rotation major league experienced but still, they’ve been to the Show and fans expected more from them. Of all the players mentioned here, I think Jackson has a shot at being in Arlington before the end of the season. He may just be a September call-up, but he should get a shot before season’s end. Don’t look for Gallo in a major league uniform until the end of next season at the earliest.